Image credit: MIQ websiteThis October, Amazing Facts will attempt to answer teens’ questions about life, God and the Bible through a live televised event called Most Important Questions. MIQ is a 10-part Bible seminar specifically for young people ages 13-18 and will be hosted at Great Lakes Adventist Academy in Cedar Lake, Michigan. The event will be hosted by Pastor Doug Batchelor, president of Amazing Facts, and will be broadcast on 3ABN, Inspiration Network and AFTV. 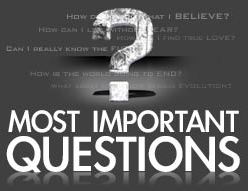 At most Adventist evangelism series, the speaker traditionally answers a few Bible and faith-based questions from the audience before he or she begins the presentation; same goes for MIQ. Teens are being asked to send in questions for Pastor Batchelor to answer on TV before the seminar each night. The event website says that in the future, youth will be able to send in video questions as well. So far, the MIQ Team says they’ve received over 4,000 questions about faith and social life. See the list of topics to be presented each night. In 2008, Amazing Facts held a televised Bible-seminar event for kids ages 8 to 12 called Amazing Adventure. Most Important Questions will air live on 3ABN on October 8-16 at 7 p.m. EST and on Oct. 16 at 11 a.m. EST. The series will also air on Inspiration Network and AFTV on October 17-23 at 11 p.m. EST.